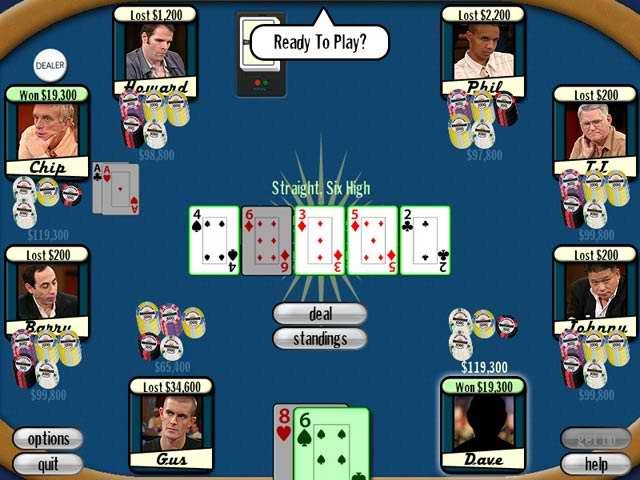 Poker Superstars II download. Free download Poker Superstars II game. Poker Superstars II raises the stakes with more superstars, a brand new poker AI and a bigger tournament! Powered by a 'first of its kind' artificial intelligence system that has learned to win by playing millions of simulated tournaments, Season 2 will challenge you to play your best game ever. Import your own photo into the game and become a Poker Superstar. Then get ready to battle against 15 of poker's top players, with interactive pictures! The Poker Superstars are ready to win, are you? It's Poker With The Big Dogs! Bigger Tournament And More Stars! 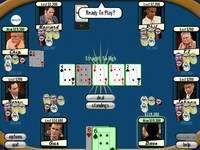 Play Poker Superstars II Online - Free! 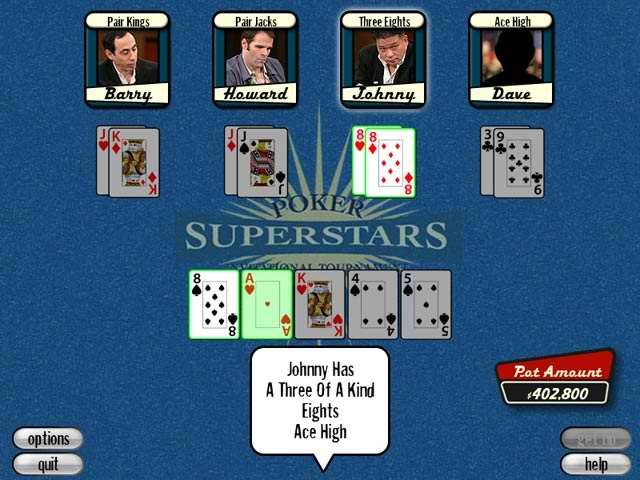 We have no player reviews for Poker Superstars II yet.